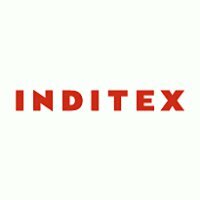 Inditex is one of the world's largest fashion retailers, with eight brands (Zara, Pull&Bear, Massimo Dutti, Bershka, Stradivarius, Oysho, Zara Home and Uterqüe) and 7,475 stores in 96 markets around the world. Our 171,000-strong workforce never loses sight of the customer. We work to create value beyond profit, putting people and the environment at the centre of our decision-making, and always striving to do and be better. It is fundamental to how we do business that our fashion is Right to Wear.